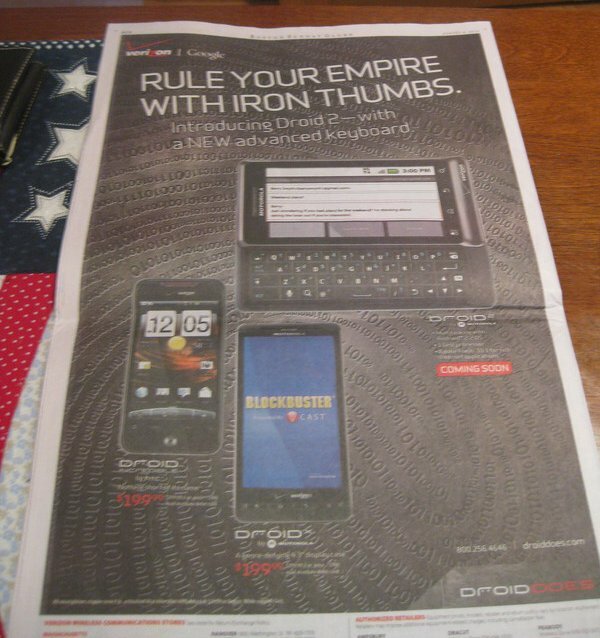 Yesterday we saw the first glimpse of the new Droid 2 marketing campaign when one of our readers found this flyer in a newspaper, and today it looks like Verizon took it a step further with this full page Boston Globe ad. Still no official date or announcement from Verizon, but we’re all expecting that to come by Tuesday, with devices becoming available on Thursday. Goodbye Original DROID, Officially "Out of Stock"?